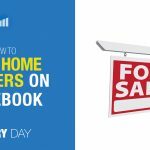 Many real estate agents have started using real estate Facebook ad to reach new prospects in their local area. Some are setting up and running their own Facebook campaigns, and many are having early success. But Facebook has a steep learning curve and requires a bulletproof strategy to maintain consistent great results. One of Facebook’s greatest strengths is the ability it gives advertisers to target their audience using the data it collects on its users. To take advantage of the power of targeting you have first to understand the exact type of prospect you are after. Once you know who you are going to target with your Facebook Ad, you need to create an attractive offer for your target. 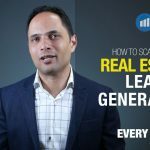 If your goal is to attract listing leads, then you should offer something a home seller requires. Instead of showing just one ad to a Facebook user and then not following up, Facebook allows you to build a sales funnel. For example, if someone clicks on your first real estate Facebook ad you can show them the second ad, then if they click on the second ad, you can show them the third ad. Each ad should move them along the sales cycle and closer to getting their contact details so you can make contact. Next, you need to set up your real estate Facebook ad campaign. There are many ways people set up their campaigns, but there only a few effective ways. Campaign structure is a large topic that’s hard to explain in a short video, but understand that a successful campaign takes a lot of background knowledge on how the platform works and best practice around setting it up correctly. Once people interact with your company on or off Facebook, they move from a cold prospect who doesn’t know you to a warm prospect. Showing ads to these warm prospects drastically reduces the cost per click and increases the conversion rate. Highly successful Facebook Ad campaigns always involve retargeting. Finally, you must have a well-defined process to follow up each lead you attract from Facebook. The longer you leave it to call a prospect the less likely they will use your agency. You have to strike while the iron is hot with all online leads. You need to ensure that your sales staff are notified instantly when a lead comes through so they can follow up with the hour. 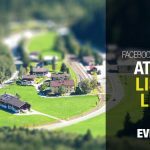 As you can see, there are many components to running a successful real estate Facebook ad campaign for your real estate agency. Yes, you can do it yourself, but if you want to get results fast without wasting time, money and opportunities, then book in a strategy session with me to discuss how Facebook Ads can help grow your leads and revenue.